I would like to suggest a non member helm for all players that costs 5,000 gold. The helm I am suggesting uses the “Face of Chaos” helm as the base for the majority of the helm, but instead of orange glowing eyes, I would like BLACK glowing eyes. Thank you. This isn't so much a suggestion about making an armor but a way for making set ups more accessible, the team has recently updated the bank in which items are easier to look for which is great, it really saves me a lot of time but I would like to take it one step further. "Would you like to equip the class loadout? yes/ no"
It's not important and I understand if the idea is completely overlooked but I think it's something that the community does struggle with since sometimes when we're helping others we have to wait and look for the items we want to put on. Thank you for your time and I hope to hear about this soon. Dunno where this goes but add the helm, Ranger Hat into the Wheel of Doom as a non member item. I personally miss this hat. Official suggestion for The Highpriestess of Verxaerys set! Armor versions of Troll Spellsmith and Horc Evader. And also I would like to suggest Ddog Sea's Serpent Armor to be non-legend. Let's make this trick like with Seppy armor. Paragon plate set, come back please ! 2B, 9S, and perhaps A2 and Eve from NieR:Automata. NieR:Automata is by far my favorite story-based singleplayer game, and I'd love to see parody armor sets added. What could be done is make an armor set that shows as 2B's outfit for females and 9S's outfit for males. 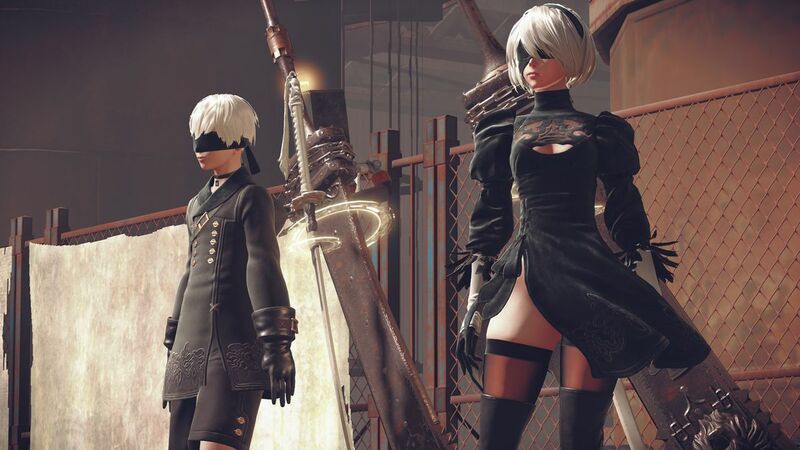 Could have alternate versions of the 2B's and 9S's hairstyles added in without the combat visor blindfolds, and another version with Adam's glasses (rectangular glasses). As for A2 and Eve, separate female only and male only, with their own respective hairstyles. There are various weapons used in the game, but the most common weapons used by 2B and A2 are Virtuous Contract, Virtuous Treaty, and the Beastlord. The most common weapons used by 9S are Cruel Oath and the Type-40 Lance. Additionally, these weapons can be holstered/sheathed on the back using a floating energy force maintained by the pods. This is seen better in this image. Eve simply uses masses of metal or energy. Pod 042 and Pod 153 as pets, ac non-combat and perhaps combat legend would be cool. Also maybe a machine life form as a pet, a Small Stubby? IM NOT A FAN OF PLATE ARMOR/ NAVAL COMMANDERS ETC. IM MORE OF A REALISTIC PERSON I WANT OUTFITS THAT WE CAN WEAR IN THE REAL WORLD LIKE MY "ARTWORK"